An English film, television and stage actor. He has had a distinguished career in theatre and television for around half a century. 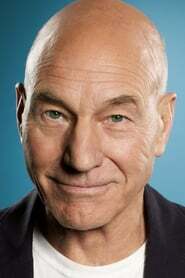 He is most widely known for his television and film roles, as Captain Jean-Luc Picard in Star Trek: The Next Generation and as Professor Charles Xavier in the X-Men films. Stewart was born in Mirfield near Dewsbury in the West Riding of Yorkshire, England, the son of Gladys, a weaver and textile worker, and Alfred Stewart, a Regimental Sergeant Major in the British Army who served with the King's Own Yorkshire Light Infantry and previously worked as a general labourer and as a postman. Stewart and his first wife, Sheila Falconer, have two children: Daniel Freedom and Sophie Alexandra. Stewart and Falconer divorced in 1990. In 1997, he became engaged to Wendy Neuss, one of the producers of Star Trek: The Next Generation, and they married on 25 August 2000, divorcing three years later. Four months prior to his divorce from Neuss, Stewart played opposite actress Lisa Dillon in a production of The Master Builder. The two dated for four years, but are no longer together. He is now seeing Sunny Ozell; at 31, she is younger than his daughter. "I just don't meet women of my age," he explains. Stewart has been a prolific actor in performances by the Royal Shakespeare Company, appearing in over 60 productions.